Editorial Note: This content is not provided by the card issuer. Opinions expressed here are author's alone, not those of the issuer, and have not been reviewed, approved or otherwise endorsed by the issuer. Before you go on a trip overseas, be sure you have a credit card with no foreign transaction fees. 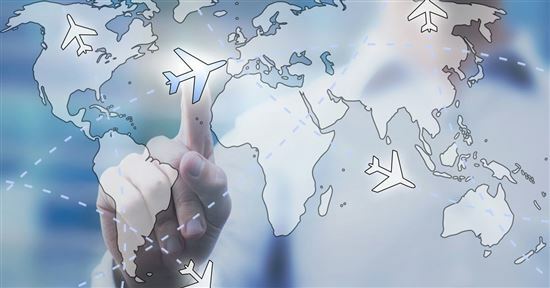 Read on to learn how to save money on international travel. Don't let those pesky foreign transaction fees ruin your overseas vacation. If you're planning a trip overseas, footing the bill with a travel rewards credit card is an excellent way to earn miles or points that can you use towards your next outing. The trick is to make sure your card won't cost you money in the form of foreign transaction fees. A number of card issuers charge this fee on every purchase you make on your card outside the U.S. Understanding how these fees are calculated and how to get around them can help you save money every time you travel abroad. WHAT IS A FOREIGN TRANSACTION FEE? A foreign transaction fee is a surcharge that applies when you make a purchase that's processed outside the U.S. These fees cover the cost of converting one currency to another. The card network that handles the transaction charges your bank a fee for completing it. The bank that issued your card then passes the cost on to you at an increased rate. HOW MUCH DO FOREIGN TRANSACTION FEES COST? Foreign transaction fees are calculated as a percentage of the total purchase amount; they typically range from 1% to 3%, depending on the card you're using. That means you can expect to pay anywhere from $10 to $30 for every $1,000 you spend internationally. If you're paying fees at the higher end of the scale, they can easily negate the value of any points or miles you're earning. 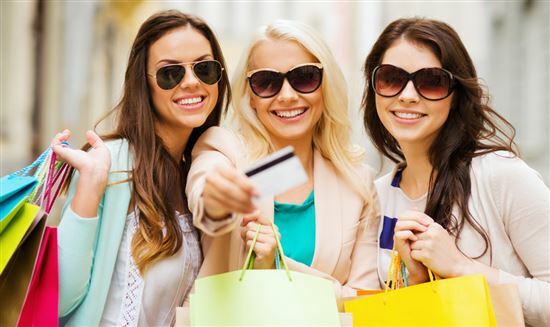 For example, if your current card pays double rewards on every dollar you spend, every $1,000 in purchases would yield 2,000 miles or points. Assuming your rewards are converted on a 1:100 basis, they'd be worth $20. If your card charges a 3% foreign transaction fee, you're not only zeroing out the rewards you've earned, but you're also going into the hole another $10. That's why it's so important to look for a card with no foreign transaction fees. When you're comparing travel rewards credit cards that have no foreign transaction fee, it's easy to get lost in all that fine print. 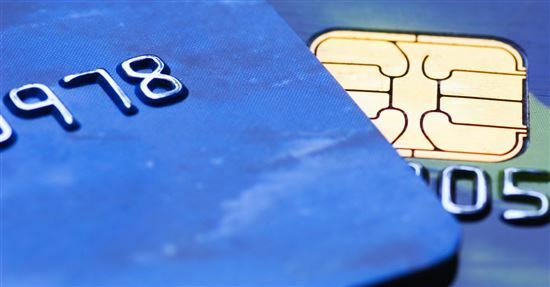 We've narrowed down the 3 most important things to consider before you settle on a card. Rewards structure: Having a rewards card really only works to your advantage if you're able to use it regularly. That being said, the card you choose should offer a rewards structure that complements your spending style and reflects how you plan to use the bonuses you're earning. For instance, a card that pays cash back when you shop at grocery stores or gas stations won't do you much good if your top priority is earning discounts on flights or hotel stays. Aiming for a travel credit card with a tiered rewards system makes getting the most bang for your buck easier. Such cards typically offer double or triple rewards when you spend in certain categories, such as hotels, airfare or restaurants, and 1 mile or point on everything else. Many travel rewards cards also offer signup bonuses for new members that allow you to earn a substantial number of miles or points right away. Typically, there's a minimum spending requirement you'll have to meet to qualify for the bonus, but if you're planning a big trip, snagging those extra rewards shouldn't be a problem. Rewards redemption: Aside from looking at how many rewards you stand to earn with a particular card, you also need to think about how they can be used. If you're a member of a frequent flyer program, for example, and you have a card that's branded to a particular airline, check if your points or miles can be converted for flights on other carriers. Most travel rewards cards allow you to redeem miles or points for a variety of things, including hotels, flights, rental cars, and vacation packages. Just pay close attention to any blackout dates or travel restrictions that limit your ability to use your rewards. 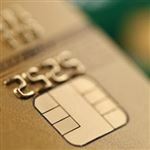 Annual fee: While there are no-annual fee travel rewards cards there, many charge a premium for being a card member. If you're looking at a hefty fee for a particular card, you'll have to decide whether the rewards you can potentially earn are worth it. Ideally, you want to go with a card that will allow you to earn back the annual fee in rewards and then some. 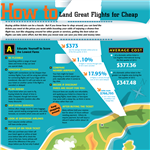 If your card carries a $95 fee, for instance, and you earn double miles on flights, you'd have to spend $5,000 on airfare each year to cover it. If you don't think you'll charge enough to cover the annual fee, you're better off going with a card that doesn't have one at all. Chase Sapphire Preferred lets you earn 60,000 bonus points after you spend $4,000 on purchases in the first 3 months from account opening. That's $750 toward travel when you redeem through Chase Ultimate Rewards®. This card lets you earn 2X points on travel and dining at restaurants & 1 point per dollar spent on all other purchases worldwide. Points can be transferred 1:1 to leading frequent travel programs including airline transfer partners. The card has a $0 foreign transaction fee. The card also comes with premium travel and purchase protection benefits (including trip cancellation/trip interruption insurance and auto rental collision damage waiver). There is a $95 annual fee. If the Chase Sapphire Preferred card isn't quite what you had in mind, there are plenty of other travel rewards cards to choose from. Here's a look at some other no foreign transaction fee alternatives we recommend. Capital One Venture offers a one-time bonus of 50,000 miles if you spend $3,000 on purchases within three months of account opening. 50,000 miles is equal to $500 in travel. This card earns 2x miles per dollar on all purchases. You can redeem miles toward travel purchases on any airline, hotel, or car rental. There are no foreign transaction fees. You get up to $100 credit for Global Entry or TSA Pre✓®. There is a $95 annual fee ($0 intro annual fee for the first year). If you want to avoid an annual fee: Discover it Miles will match all the miles you've earned at the end of your first year. This offer is limited to new cardmembers only. This card earns 1.5x miles on all purchases and has no annual fee. Paying excessive foreign transaction fees can put a serious damper on your vacation plans, but dodging them isn't difficult if you've got the right credit card. We like the Chase Sapphire Preferred based on its rewards structure, $0 foreign transaction fee, and straightforward redemption structure, but the other cards we've mentioned offer plenty of appeal to cost-conscious travelers. Editorial Note: Any opinions, analyses, reviews or recommendations expressed in this article are those of the author's alone, and have not been reviewed, approved or otherwise endorsed by any card issuer. This site may be compensated through the Advertiser's affiliate programs. 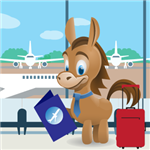 Disclaimer: The information for the Capital One® Venture® Rewards Credit Card and Discover it® Miles has been collected independently by CreditDonkey. The card details on this page have not been reviewed or provided by the card issuer. Chase Sapphire Preferred and Reserve are great for travel as they both have no foreign transaction fees. But there are some differences you need to know. Read on before you take off. New to airline miles? Learn how it works and how to earn a ton of miles fast through credit cards. Before long, you'll be redeeming miles for free flights and hotel rooms. The sign-up bonuses for hotel rewards credit cards can be tempting, but is a hotel card right for you? The best airline credit card racks up miles fast with reasonable fees and amazing rewards. Looking for a new travel credit card? If you're usually eating out rather than slaving over a hot stove at home, make a point of using a rewards credit card every time you pick up the tab and save up some serious cash. So you've decided you want to earn rewards for your spending but aren’t sure how to pick the right card? Most credit cards tack on a 3% charge, or foreign transaction fee, on purchases made outside the United States. If you travel internationally with a no foreign transaction fee credit card, you'll save money on your purchases. Must-read list of hotel credit card promotions. Check out this essential list of credit card offers before your next hotel stay. Traveling to Europe? Look for a card with chip technology and no foreign transaction fees. Here are our favorite cards for international travel. Learn how to get a credit card for the first time. Read this guide to find out which cards are the best and how to avoid common mistakes beginners make. Find the best way to use each Chase transfer partner. Read this to maximize the value of your Ultimate Rewards points.